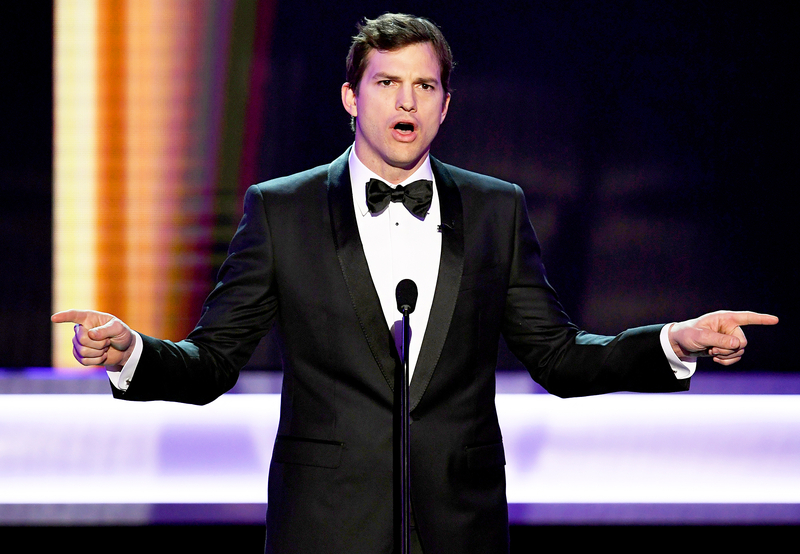 Ashton Kutcher, Julia Louis-Dreyfus and more stars took a stand against President Donald Trump’s travel ban during the 2017 SAG Awards in L.A. on Sunday, January 29. Hours earlier, the Two and a Half Men alum bashed the ban by pointing out that his wife, Mila Kunis, emigrated from Ukraine to the U.S. when she was a child. "My wife came to this country on a refugee visa in the middle of the Cold War! My blood is boiling right now!" he tweeted. "We have never been a nation built on fear. Compassion that is the root ethic of America. Our differences are fundamental 2R sustainability." 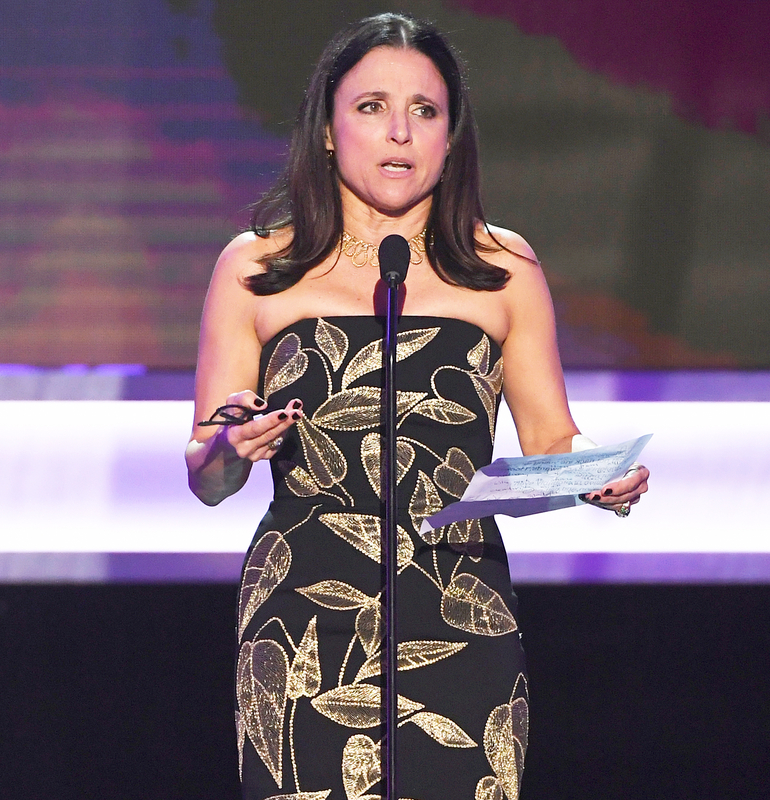 Louis-Dreyfus, 56, gave a passionate speech about the ban while accepting the award for Outstanding Performance by a Female Actor in a Comedy Series. Last Friday, Trump, 70, signed an executive order to ban citizens from seven Muslim-majority nations from entering the country, which led to people being detained at airports across the country. In response, protesters have rallied together and a federal judge blocked part of Trump’s order on Saturday, temporarily blocking the government from sending those who have landed in the U.S. back to their home country. Many people, including Kerry Washington, have taken to social media to denounce Trump and the ban. “A lot of people are saying right now that actors should keep our mouths shut when it comes to politics. But the truth is, no matter what, actors are activists because we embody the humanity and worth of all people. This union helps me to do that,” the Scandal actress, 39, said at SAGs. She also wore a pin as a sign of solidarity. The Big Bang Theory actor Simon Helberg took a stand at the star-studded event as well. The Florence Foster Jenkins star, 36, held up a sign that read “Refugees Welcome” while walking the red carpet with his wife, Jocelyn Towne. The actress, 40, wrote “Let Them In” on her chest. Mahershala Ali tearfully spoke out against Trump’s immigration ban while accepting the award for Male Actor in a Supporting Role for his work in Moonlight. “I think what I have learned from working on Moonlight, you see what happens in persecution. What I was so grateful about and having the opportunity was playing a gentleman who saw a young man folding into himself as a result of the persecution of his community and taking that opportunity to uplift him and tell him he mattered, that he was OK. And accept him. I hope that we do a better job of that,” he said. Bryan Cranston would go on to guess what former president Lyndon B. Johnson would say to Trump today. 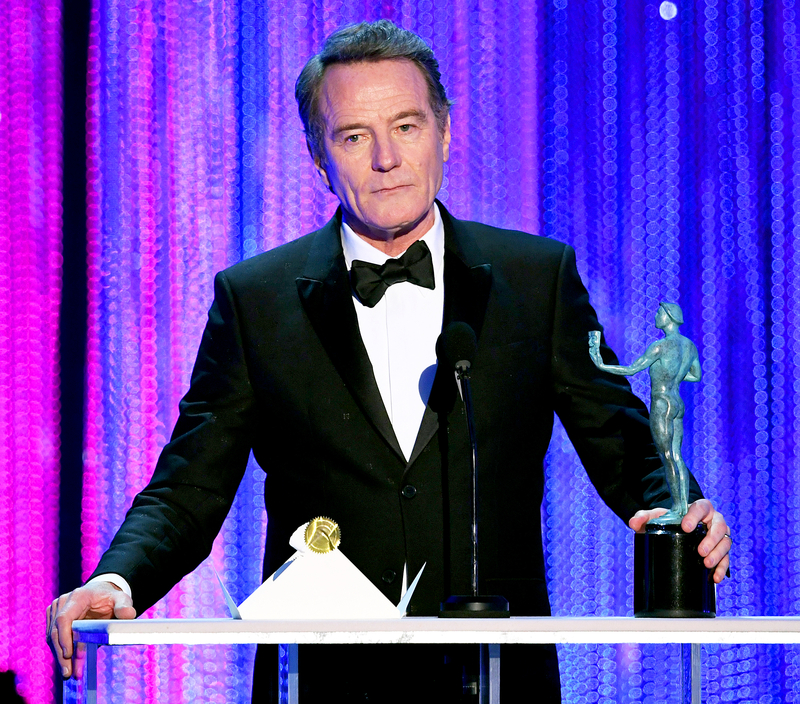 The Breaking Bad alum won Outstanding Performance by a Male Actor in a Television Movie or Limited Series for portraying the 26th president in HBO’s All the Way. Trump released a statement about the ban on Sunday. "America has always been the land of the free and home of the brave. We will keep it free and keep it safe, as the media knows, but refuses to say,” he said, via CNN. "To be clear, this is not a Muslim ban, as the media is falsely reporting. This is not about religion — this is about terror and keeping our country safe."